If any had doubts that the “new” House of Representatives now controlled by the Democrat Party was going to come out guns blazing in a direct frontal attack of Donald Trump, no need to doubt anymore. With Friday’s House Judiciary Committee hearing with Acting Attorney General Michael Whitaker, the 2019 Democrat agenda was on complete display. Under the direction of Congressman Jerold Nader (D-NY), the Committee promised to oversee the DOJ efforts in the areas of criminal justice, prison reform, the drug opiate problems and plans to eradicate it, immigration issues, and to assure the DOJ that the White House would NOT interfere with DOJ operations. None of that showed up in the hearing with Michael Whitaker. From opening statements, the plans of the Democrats became clear and were hammered throughout the hearing. There were no conversations about criminal justice, eradication of opioid drugs, gun control, violent crime — all issues one would expect this committee’s members to wholeheartedly support and wish to discuss with the AG. A couple of those were mentioned, but none were discussed. What Was The Hearing About? The Rhode Island Congressman was definitely not the only member of the House Judicial Committee who attacked Acting Attorney General Whitaker. And the attacks came chiefly from an obviously choreographed Democrat plan to perpetuate what many felt would be their agenda for the next two years. And that agenda now is certain to NOT be representing Americans that voted for them to govern. I doubt many Americans want their members of Congress to for two years investigate this President for collusion with Russia. But you would not know that from their actions in that hearing. Don’t let the famous Alexandria Ocasio Cortez “New Green Plan” or “Medicare For All” blind you, the majority of Democrats couldn’t care less about those plans. Nor do they care about immigration reform, further criminal justice reform, infrastructure, further tax relief for the middle class, unemployment, or entitlement reform. They care about one thing and one thing only: Donald Trump. And the House Judiciary Committee hearing makes that totally clear. Remember all the cries that have been sounded daily during the Mueller probe that all say “We MUST allow Robert Mueller to complete his investigation of President Trump with NO interference of any kind.” Time after time, month after month, for two years they have beat the “leave everything to do with the Mueller probe untouched.” They have threatened every member of the Trump Administration and every GOP member of Congress with serious personal and professional consequences if they dare touch the Mueller probe. And that includes funding of the probe, staffing per Mueller’s desires, or tampering with anyone one or any process used by Mueller. They have complained continuously about President Trump himself regarding Mueller. Democrat members in the Senate even crafted a bill to block the President from taking any unilateral action to remove Mueller. It’s been comical to watch and hear the President’s responses to these cries from Congress, the badgering by the media, and even from demonstrators threatening the President if he touches Mueller in any way. Come on! We’re two years into the Mueller probe. If the President was planning to fire Mueller, he certainly would have already pulled the trigger, don’t you think? So why won’t Congress give it a rest? Surely they’re not going to continue their demands to see to it that President Trump does NOT fire Mueller. They wouldn’t let Mr. Trump interfere in the probe. They would not let anything interfere with Mr. Mueller, would they? It seems like Congressional Democrats have plans of their own to take over investigating Mr. Trump! The California Congressman has been the designated attack dog sicked on the Trump Organization by fellow Democrats. He is a fan of a television camera and a microphone, loves media attention, and has settled in on the leadership in the Trump attack. Even before the return to power in the House by the Democrats, Schiff was laying out his plans. Democrats taking over the House Permanent Select Committee on Intelligence and its Russia-Trump probe have stayed doggedly loyal to the Hillary Clinton-financed dossier that Republicans say is a hoax. At times, incoming Chairman Adam Schiff, California Democrat, and colleagues have hailed dossier writer Christopher Steele for predicting events. A close examination showed his assertions already had appeared in the press. Other Steele allegations embraced by Democrats remain unproven publicly more than two years after he started submitting memos to his Democratic handlers. The committee’s final report by its Republican majority in April acquitted the Trump campaign of collusion with Moscow in its election interference via computer hacking and fake social media accounts. To date, no Trump person has been charged by special counsel Robert Mueller on such allegations. Mr. Schiff rejected the GOP report, saying he believes a conspiracy existed between Moscow and Mr. Trump. “Throughout the investigation, committee Republicans chose not to seriously investigate — or even see, when in plain sight — evidence of collusion between the Trump campaign and Russia, instead adopting the role of defense counsel for key investigation witnesses,” he said. Mr. Schiff has stated that he wants to launch completely new lines of inquiry, such as supposed Russian money-laundering through the Trump Organization — an allegation that hasn’t been broadly discussed publicly. Republicans say they heard no such evidence during their inquiry. Democrats also have mentioned a number of Trump associates they want to bring back for more questioning. Candidates may include Donald Trump Jr., who orchestrated the June 2016 Trump Tower meeting with a Russian lawyer promising dirt on Democratic presidential nominee Hillary Clinton, and campaign adviser Michael Caputo. A big question is whether Mr. Schiff will again try to prove Mr. Steele’s allegations. An FBI witness told the committee in a closed-door hearing that none of the British ex-spy’s core collusion charges had been proven. Here’s the takeaway from the foreshadowing of Democrat plans for America for the next two years: they have no agenda — no plan for America! One would think they as good representatives of the People would use the significant progress made during the first two years of the Trump Administration and build on that progress with their own ideas of making those even better. One would expect they would take the opportunities in the area of real immigration reform to permanently with legislative action fix the significant border issues, rescue the DACA recipients who for lack of Congressional action and through no fault of their own have been relegated to the class of “second-class NON citizens,” waiting for the government to give them some hope for a real future. Crumbling roads and bridges, ancient municipal water systems, the power grid, declining public mass transportation, and outdated criminal justice issues should be aggressively tackled by this Congress. Then why have the Democrats themselves already launched nasty, aggressive, and exhaustive investigations of all things Trump WHILE THE MUELLER PROBE IS ONGOING?!?! Members of the Democrat Party who join us here, I have a question for you: Don’t you agree that Democrats should just be elected representatives who serve their constituents in crafting laws, working with all branches of the federal government in their operations, giving oversight to the departments of those branches of government, to make this government work better? Certainly, you believe that. Then why not demand just that? Why not force those men and women who work for you who promised those very things to simply do what they promised they would do? Unless and until the People speak with Constitutional authority and MAKE Congressional leaders understand there is no acceptable alternative to representing us, they will simply perpetuate the partisan political nonsense we saw play out in the House Judiciary Committee hearing on Friday. And it will happen again and again and again. 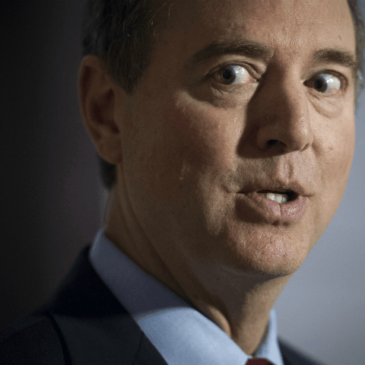 One more thing: in the upcoming days, we at TruthNewsNetwork are going to give you a complete biographical sketch of who the now most powerful Democrat in D.C. really is: Adam Schiff. I promise you: it will disgust you! ← Google: What Are YOU Hiding?